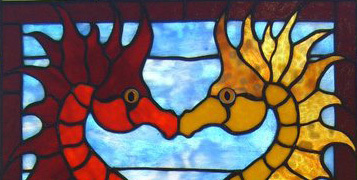 Western Art Glass is a retail supplier of an impressive selection of glass, tools, supplies and materials for all your stained glass and fused glass needs. We work with students, hobbyist, designers, architects and home-owners. In our studio we regularly offer classes in a variety of glass mediums and cater to all levels of glass experience. 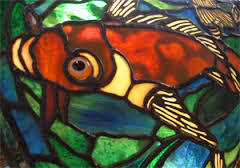 We also have a full custom design studio where we fabricate unique glass art designs and do repairs and restorations on both leaded and stained glass panels; including all types of lamps. Please see our 'Contact' page for Location, Phone and Hours.